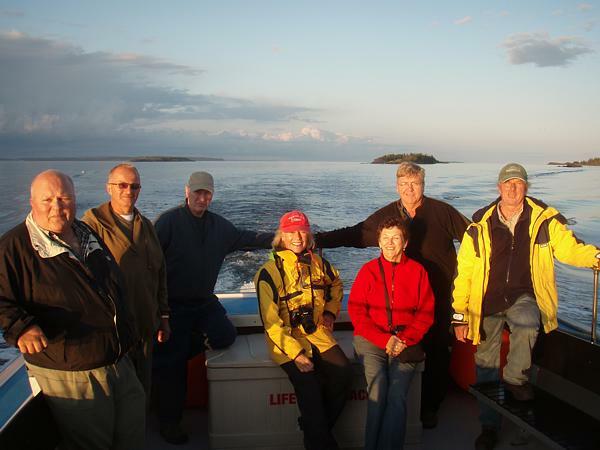 On a clear evening Tuesday, September 15th, members of the MICA Board of Directors hosted Councillors from the Municipality of the District of Lunenburg on a cruise around the Mahone Bay Islands as far as Sacrifice Island and those brought into the public domain by MICA. The 3 hour cruise on board Risky Business, captained by Chris Banfield showed the islands at their pristine best. In the photo L. to R. Councillors Wade Carver, John Veinot, Lee Nauss, MICA Directors Sherrill Harrison, Sherry Swinamer, Councillor Milton Countway, MICA Director Bryan Palfreyman. Also on board was MICA Chariman, John Meisner.